I’m a big fan of LEGO, and I’m also a big fan of cake. 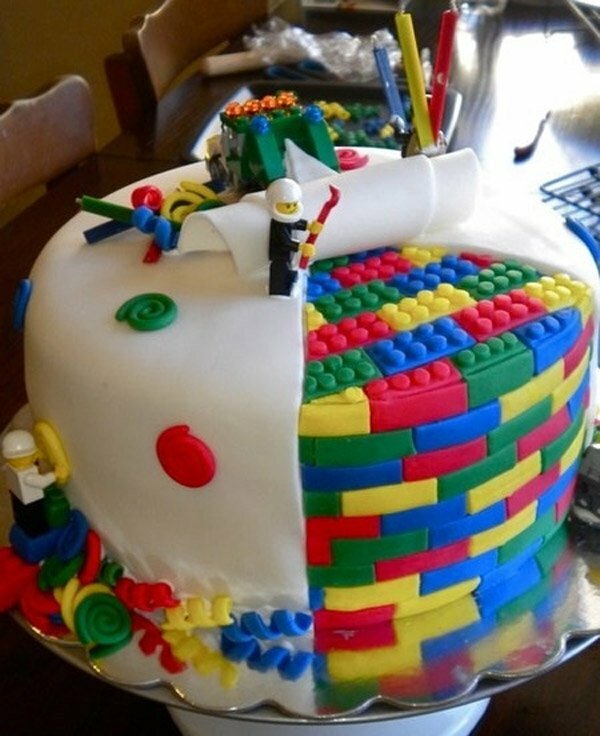 So what’s not to like about this delicious looking cake made up to look like a bunch of LEGO bricks stacked together. Now I know all those little colorful bricks are just made up out of icing, but it would have been really cool if each one were baked individually, then stacked together. That would’ve been the mark of a true LEGO geek. Also, those look like real minifigs, so don’t try and chomp down on them unless you want a chipped tooth and a belly ache. Still, the cake does look pretty great, and mighty tasty at that. There’s nothing more delicious than food coloring in primary colors. It’s also good for the tongue and teeth.